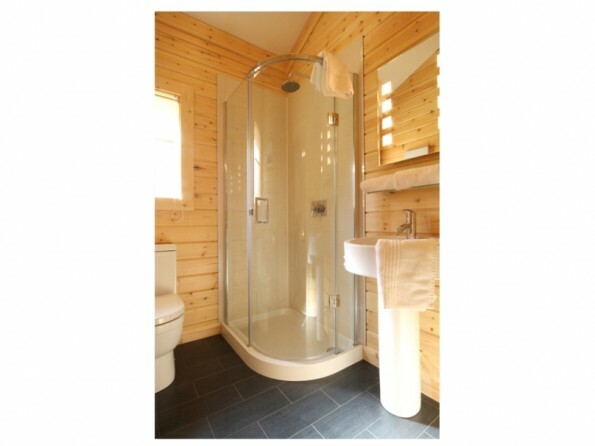 This deluxe log cabin in the Yorkshire Dales has a large American hot tub and sits in a peaceful setting with beautiful woodland views. 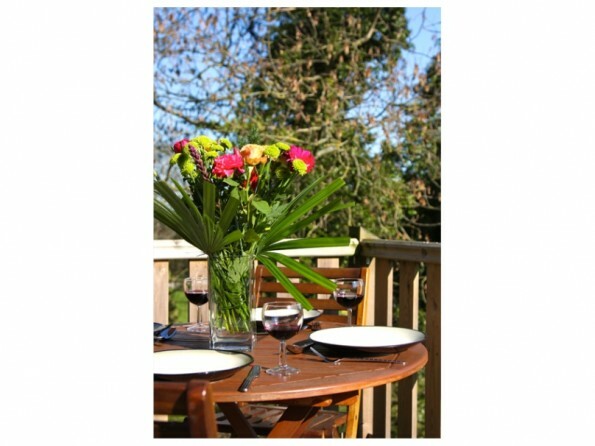 It is ideal for romantic hideaways or simply for a well deserved break. 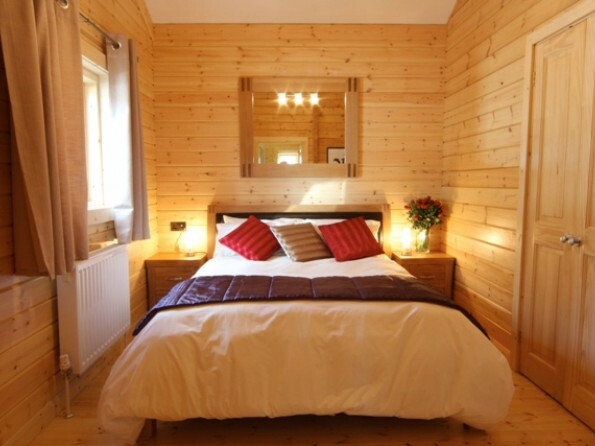 Rowan Lodge, a deluxe square log cabin, is set in a peaceful valley just over one mile from Richmond, on the edge of a wood which has a stream running through it. 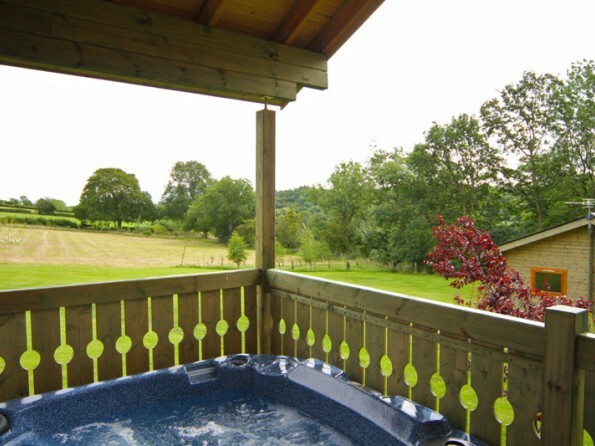 It sits in a quiet, secluded setting with calming woodland views from the balcony and the hot tub. Constructed of renewable Scandinavian square logs, which offer the traditional warmth of wood, this is a lovely retreat at Flowery Dell in the Yorkshire Dales. 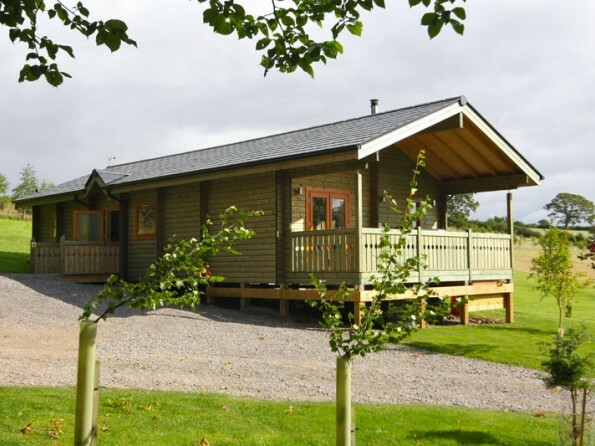 This unspoilt area, on the edge of the Yorkshire Dales National Park, is home to an abundance of natural wildlife and wild flowers and provides an ideal environment for a peaceful holiday in the heart of the Yorkshire countryside. Here you can enjoy super walks and beautiful scenery all year round. 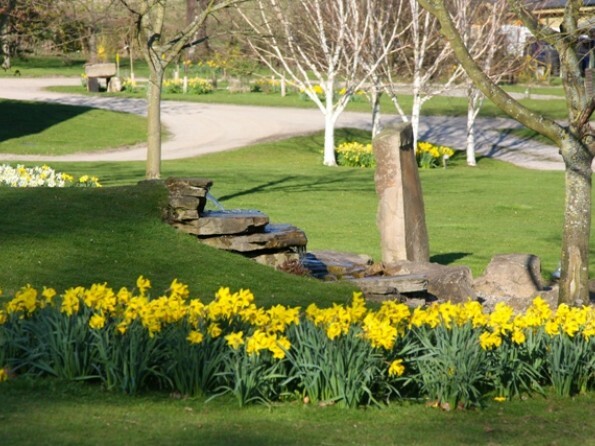 As well as being on the edge of the Yorkshire Dales National Park, it is within easy distance of York, Whitby on the East Coast, the Lake District, the West Coast, Newcastle & Metro Centre plus many more. Just on your doorstep are Hudswell Woods, a National Trust property of ancient woodland on the south bank of the Swale, while the market town of Richmond has a stunning Norman Castle, the award winning Georgian Theatre Royal, charming shops and the largest cobbled market place in England. We are a 15 minute drive from Scotch Corner. Please visit our website for full directions. 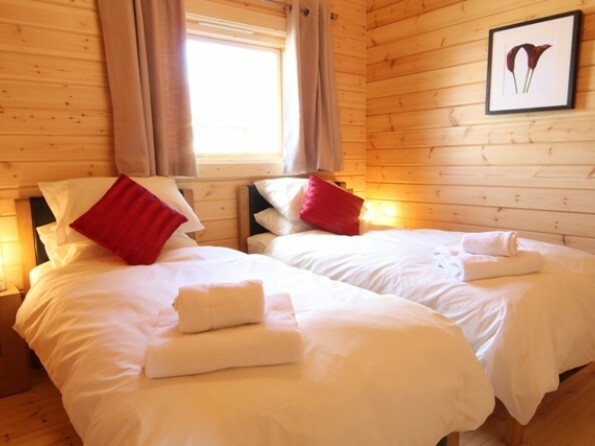 The cabin has two bedrooms – the main bedroom is ensuite with a large walk-in shower and both bedrooms have LCD televisions. 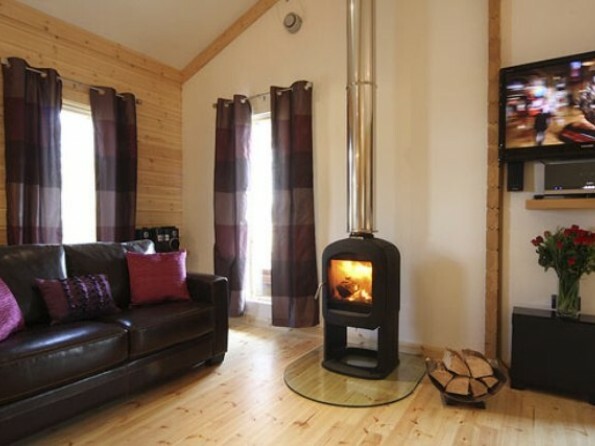 There is a spacious lounge with a flat screen digital television, a DVD player, a real woodburner, and a HiFi with ipod docking station. 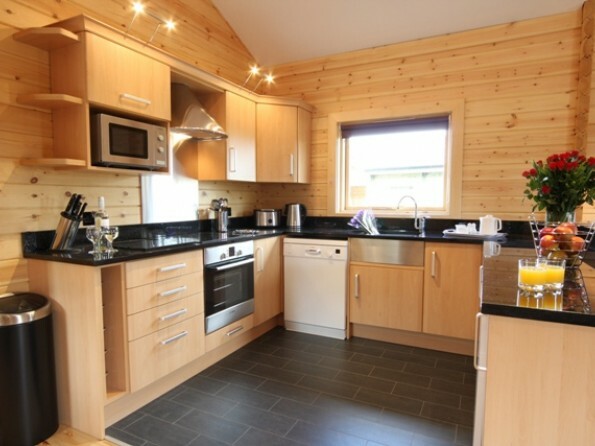 The kitchen has a touch control halogen hob, oven, side by side fridge & freezer, dishwasher and washer/dryer and the cabin has central heating throughout. 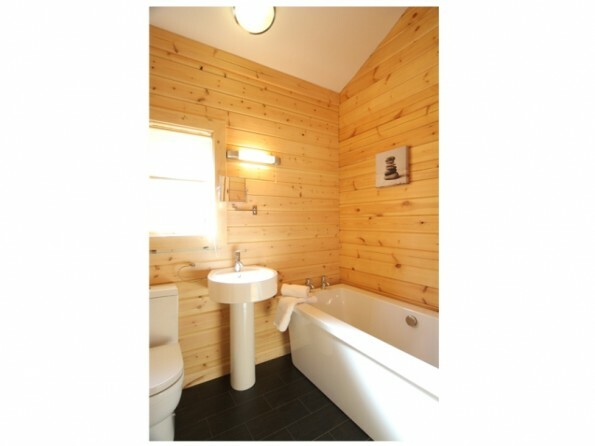 There is a fully fitted bathroom with full size bath, toilet and sink. 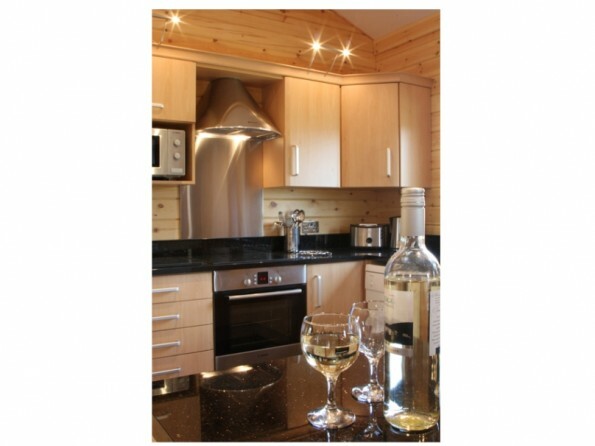 This log cabin is finished with luxury fittings and facilities. A cot and high chair can be hired. 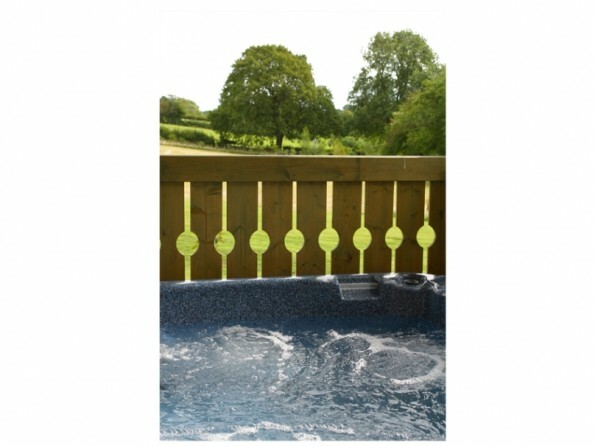 The cabin has a large enclosed private balcony with a sunken 4 person hot tub spa, patio furniture and a gas barbecue - this is a perfect place to sit and relax whatever the season. 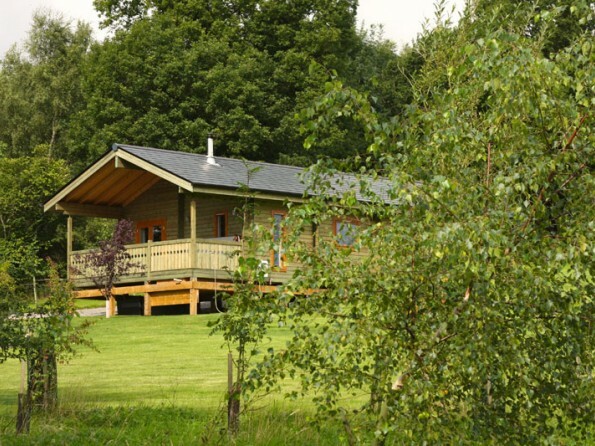 All around the cabin is natural woodland and there is a variety of onsite and offsite walks to explore. A chef is available to hire so please visit our website for details. Rowan is a No Pets Allowed lodge. However we have other luxury lodges in which we allow a maximum of 2 well behaved dogs each. 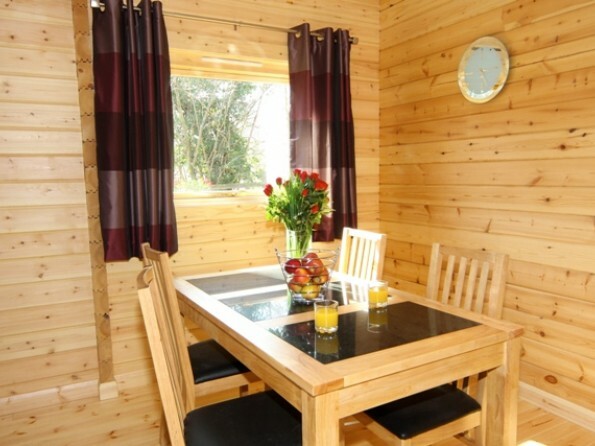 Rowan is a No Pets Allowed lodge and is set on a peaceful site so no young groups etc allowed. Cots and high chairs available for hire if required.